YouthTouch Grant Applicants Click Here! Goldenrod brings educational technology to life in 3 dimensions. The companys flagship offering is YouthTouch, a complete system of hands-on technology integration, for learners in Grades 3-8. YouthTouch includes hardware, software, instructional activities and staff development. 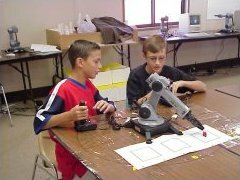 YouthTouch uses robotics and fluid power trainers with child intuitive interfaces. YouthTouch activities support common core standards. YouthTouch learning activities integrate with the existing curriculum. YouthTouch challenges students emotionally and physically, as well as intellectually. 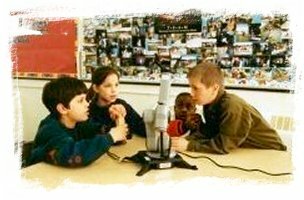 YouthTouch appeals to multiple intelligences and stimulates active learning. High and low performing students alike take command of difficult STEM prerequisites such as ratios and negative integers. Goldenrod brings life to the most abstract concepts taught in today’s classrooms.